A classic game takes a leap forward! A classic game takes a leap forward with this colorful, high-quality hopscotch game set! 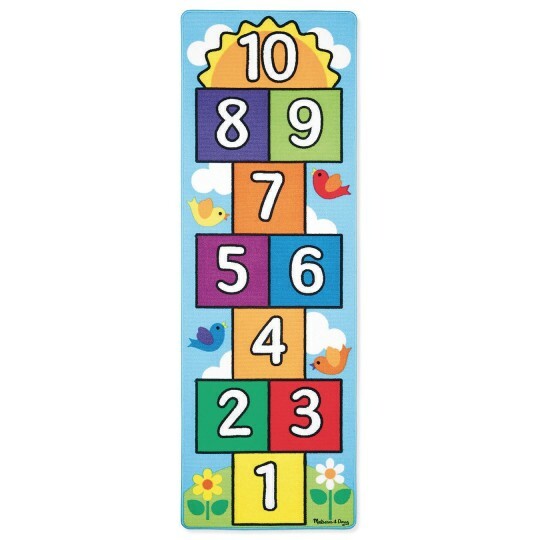 Featuring cheerful birds, fluffy clouds, and a rainbow of colors, this hopscotch rug offers lots of ways to learn and play! Reinforced border binding prevents fraying! 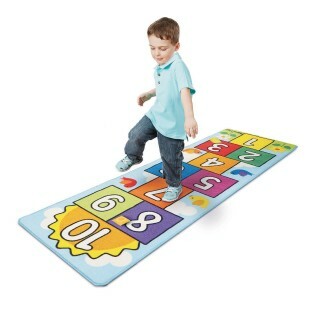 Includes 2 colorful beanbag play pieces. Durable rug material is stain-resistant and washable. Skid-proof backing is safe on all floor surfaces and works for indoor and outdoor use. 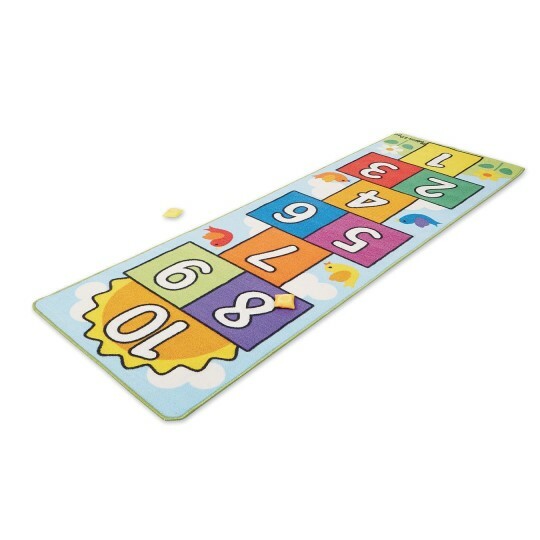 Rug dimensions are 78-1/2” x 26-1/2”.